The scanner is versatile, compact, and easy to use. In addition to its standard scanning features, your scanner also includes Close Call® RF capture technology designed to help you detect and identify strong local Radio signals in your area. You can program up to 300 frequencies into the scanner’s memory. 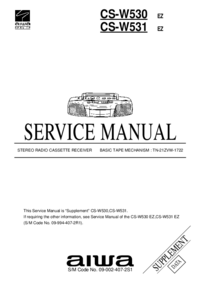 The scanner lets you scan transmissions and is preprogrammed with service bands for your convenience. You can quickly search those frequencies most commonly used by police and other agencies without tedious and complicated programming. The scanner gives you direct access to over 32,000 exciting frequencies. 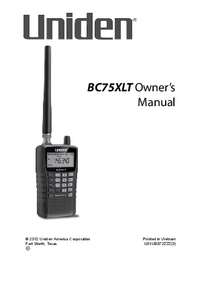 Use your scanner to monitor: • Police and fire departments (including rescue and paramedics) • NOAA weather transmissions • Business/Industrial Radio • Utilities • Marine and amateur (ham radio) bands • Aircraft band BC75XLT Feature Highlights Close Call® RF Capture Technology - you can set the scanner so it detects and provides information about nearby Radio transmissions. See page 42 for more information on the Close Call RF feature. PC Programming - lets you program your scanner using your PC. Custom Search - lets you program up to 10 custom search ranges and search any or all of those ranges. Quick Search - allows you to enter a frequency and start searching up or down from that frequency. Turbo Search - increases the search speed from 100 to 300 steps per second automatically for bands with 5 kHz steps. Search Lockout - allows you to lock out up to 200 search frequencies (100 temporary and 100 permenant) in Custom, Service, Close Call, or Quick Search modes. Lock-Out Function - lets you set your scanner to skip over specified channels or frequencies when scanning or searching. You must manually unlock these channels. Temporary Lock-Out Function - lets you set your scanner to skip over specified channels or frequencies when scanning or searching. This temporary lock-out releases when you manually unlock the channels or frequencies or when you power down the scanner. Priority Channels - You can program one channel in each bank (10 channels total) as a priority channel. The scanner checks that channel every 2 seconds while it scans the bank so you do not miss transmissions on those channels. (Default=Priority Off) Priority Scan - lets you set the Priority feature to check each channel every 2 seconds regardless of whether or not the scanner is receiving transmissions. Priority Scan with Do Not Disturb - lets you set the Priority feature to check each channel every 2 seconds as long as the scanner is not receiving transmissions. Duplicate Channel Alert - lets you know when you have entered a frequency that is already registered on another channel. Channel Storage Banks - the scanner has 10 banks. You can store up to 30 frequencies into each bank (for a total of 300 frequencies), so you can more easily identify calls. Two-Second Scan Delay - delays scanning for about 2 seconds before moving to another channel so you can hear more replies that are made on the same channel. Do Not Disturb prevents the scanner from interrupting transmissions during receiving. Ten Service Bands - frequencies are preset in separate Weather, Police, Fire/Emergency, Marine, Racing, Civil Air, HAM Radio, Railroad, CB Radio, and Other (Other = FRS/ GMRS/MURS) bands to make it easy to locate specific types of calls. Key Lock - lets you lock the scanner’s keys to help prevent accidental changes to the scanner’s programming. Direct Access - lets you directly access any channel. Display Backlight - makes the scanner easy to read in lowlight situations. Flexible Antenna with BNC Connector - provides adequate reception in strong signal areas and is designed to help prevent antenna breakage. You can also connect an external antenna for better reception. Memory Backup - keeps the frequencies stored in memory for an extended time if the scanner loses power. Three Power Options - Use the supplied USB cable to charge the BC75XLT through your computer or other USB charging port. You can also power the scanner using two AA rechargeable Ni-MH batteries (not included) or optional alkaline batteries. Key Confirmation Tones - the scanner sounds a tone when you perform an operation correctly, and an error tone if you make an error. Battery Low Alert - warns you when battery power gets low. The Battery Low icon flashes ( ) and a battery low tone sounds every 15 seconds until the scanner is recharged, turned off, or drained completely. Battery Save - works when there is no transmission for 1 minute in Scan Hold mode and in any Search Hold mode (does not work in Priority Scan and Close Call Scan modes). This feature turns off RF power for 1 second and turns it on in 300ms intervals to extend the battery live. 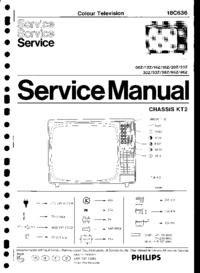 Scan/Search Delay/Resume - controls whether the scanner pauses at the end of the transmission to wait for a reply. You can set the Delay time for each Channel, Close Call Search, Custom Search, and Service Search mode.